Greg Capullo is one of the most prominent comic book artists working in the business today. He has formed a close partnership with writer Scott Snyder, and the two have formed arguably the most influential writer-artist duo of the past few years. Snyder and Capullo are best known for their work on Batman and the recent Dark Nights Metal, but Capullo has a long history in comics. 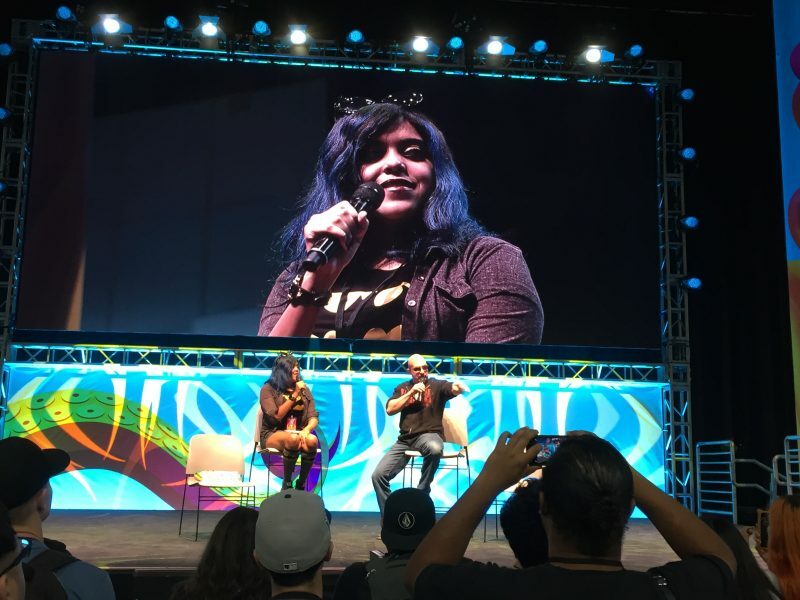 He starred in his own spotlight panel at Los Angeles Comic Con, where he was interview by Londyn Jackson from the podcast History of the Batman. In discussing his influences and art style, Capullo said that how anybody gets their style is that it starts with whatever artists you like. You need the foundation of anatomy and understanding how to put things together visually. However, after that you start to integrate your influences. One of the best bits of advice he received was “Look at everything and forget everything that you’ve seen.” He admits that he tries to not look at a lot of the new artists in comics because there are so many good ones and he feels that he might subconsciously start to take elements of their work. He doesn’t want to do that because he has an established style that is his own and he doesn’t want to suddenly become an imitation of someone else. Capullo said that he feels thankful for his career in comic books and likes any comics he gets to work. While he does like creating new, original characters, he also likes working on established characters at DC and Marvel because those were the things that got him into wanting to create comics in the first place. He admits that creator-owned work has advantages financially if something does well, but he likes working on all types of work. One of Capullo’s most fun runs was working with Todd McFarland on Spawn, in some ways because McFarland was an artist and knew would work well visually. Capullo said that they developed a rapport similar to the old “Marvel Method” developed by Stan Lee and Jack Kirby. Capullo began at Marvel so he was familiar with the shorter, plot-style script method (DC at the time was employing full scripts for their artists). Capullo always preferred plot-style because of the flexibility it provided to him as an artist. When Capullo worked with McFarland on Spawn, it was even looser than the Marvel method. They would have a phone call and McFarland would just give him a general idea of what would appear in the issue and leave it up to Capullo to figure out where to put things. Capullo compared that to working with Snyder, who initially provided very length and detailed scripts. Now that Snyder and Capullo have worked together for years, they have a more intuitive and relaxed working relationship. In discussing his version of Batman, Capullo said that he wanted the character to be dangerous. So he wanted Batman to be more of a thick block physically rather than sculpted like a bodybuilder. He felt like that was more imposing visually. Capullo also wanted the cowl/headgear to be less expressive and more mysterious. Dark Nights Metal offered him a chance to produce some very different versions of Batman. 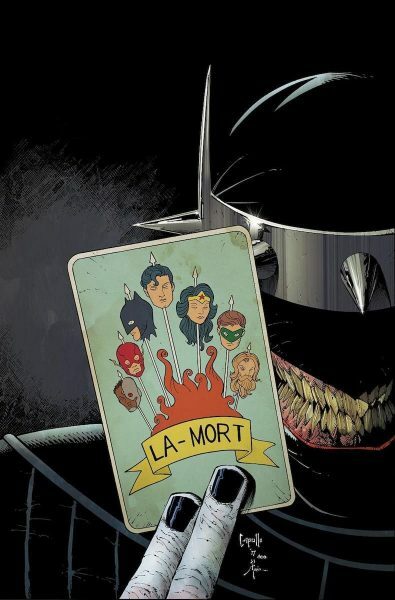 Jackson and Capullo discussed the breakout character of Dark Nights Metal – the “Batman Who Laughs.” Capullo said that most of the elements of the Batman Who Laughs came from discussions with Snyder. Of course, it was a version of Batman, so you had to have the trademark Batman cowl ears. Snyder said that the character should have a big Joker smile and perhaps don’t show his eyes. Add to that the recurring leather, studs and steel motif of Dark Nights Metal, and then Capullo came up with the design for the character. Capullo thinks it is interesting because people like the Joker and they like the combination of Joker and Batman in the BWL. Plus, Capullo said, he looks cool. 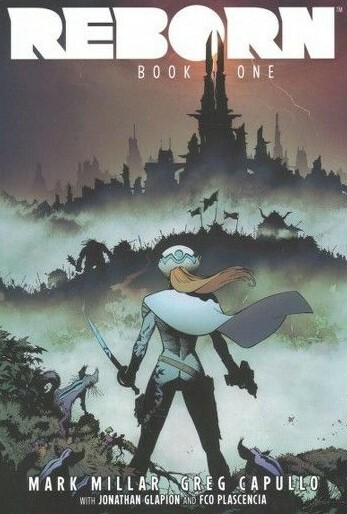 Capullo also talked about his collaboration with Mark Millar called Reborn. Capullo agreed to the project without even knowing what it was about. He thought it was a great opportunity to work with a writer like Millar. “It could have been Broccoli Man versus Turd Guy, and I would have drawn the hell out of that thing,” Capullo joked. Capullo’s contract with DC was due to finish, and though he had some pressure to resign immediately with DC, he took the time to work with Millar and Image Comics. “Three months after I finished [Reborn], it got sold to Netflix… and now I’m back at DC!” Millar gave Capullo all of the scripts at once, and from there Capullo built up the character and scene designs. He said that the project was great fun and the money from Netflix helped him buy a house. A few questions came from the audience. 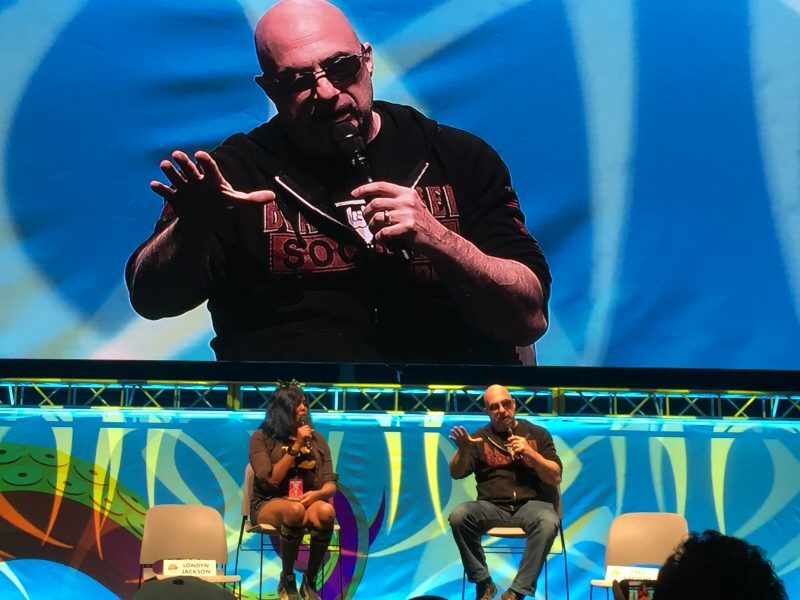 In discussing characters he would like to do, he mentioned that he thought that Lobo would be a good fit because of Capullo’s art style and that they share some of the same personality traits. Asked what writers with whom he would like to collaborate, Capullo said that Brian Michael Bendis and Jeff Lemire are good excellent writers and he has not worked with either yet. Asked what were his art influences when he was young, Capullo said John Buscema and Frank Frazetta.